More and more single households, less and less time in our daily lives: Consumers are increasingly calling for more comfortable packaging that make eating on the go easier. At the same time, they want brand name products to offer a greater variety of options. Consumer goods manufacturers therefore must be able to produce ever smaller batches in a financially viable manner and put them on the market at ever faster speeds. OEMs answer this call by reducing their time-to-market, for instance by decreasing the time they spend on engineering. Bosch Rexroth helps its customer master these challenges by supporting them as an automation partner. Most of the time, packaging machines have a significant motion control component - they must map synchronized, highly dynamic processes. For these requirements, Bosch Rexroth offers an automation solution that is unique in the market in this form. Their core is formed by scalable motion logic controls with integrated robotics as well as a family of servo drives with different system concepts. These include single axis and multi-axis solutions, centralized drives with control cabinets and decentralized drives (IndraDrive Mi). In order to be able to react flexibly to market requirements many users look to modularity for their packaging systems. Solutions from Bosch Rexroth will enable you to realize modular machine concepts in the best possible way: We are providing a programming template – the GAT (Generic Application Template) – to simplify the implementation of software modularity. And with the IndraDrive Mi decentralized servo drive, you will be achieving modularity in electronics on the basis of proven technology. Thanks to open interfaces and worldwide standards, this will allow you to easily integrate machine modules into machines and systems even at a later time. Both manufacturers of used machines and of capital goods are investing increasingly in the so-called BRIC countries as well as in Southeast Asia. 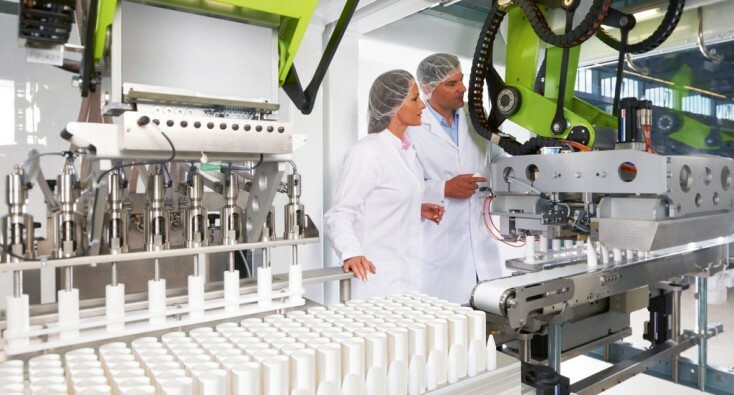 This leads to a growing expectation that their suppliers, too, have a local presence in those countries: Bosch Rexroth holds over 30 years of know how in the automation of printing and packaging machines, and has industry specialists in over 80 countries. These specialists can solve any application problem and support customers in developing and implementing these solutions. In addition, Bosch Rexroth has around 2000 service employees worldwide. Last but not least, almost all of our products are available for a period of at least 25 years. This provides investment security.